Please use the contact information provided at every pool profile to check if they are offering aquagym lessons, simply because is just not so typical to determine an Aquagym in Greater London. The best Greater London Swimming Pools are located mainly in big cities, but it is also easy to find public pools in rural areas. For Greater London and its vicinity, we're showing you all the registered pools, a few of them have no GPS coordinates and cannot be found on the map at the map. Traveling to Greater London? This really is the right spot on the internet to locate places to swim in Greater London. Each day you might be not swimming you are losing precious time in improving your skills to be a superior swimmer! No much more excuses! 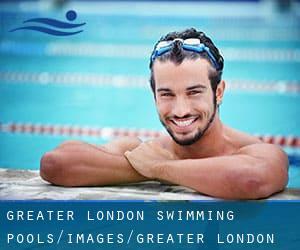 Find your nearest Greater London Swimming Pool and tell us how it went. There are generally discounts accessible to senior citizens and small youngsters for independent swim. 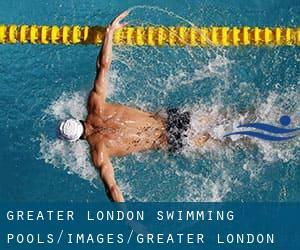 Discover by contacting your nearest pool among these Greater London Swimming Pools. Do you know of any Swimming Pools in Greater London that should be listed here? Contact us!. One from the benefits of outdoor swimming in Greater London is the possibility to sunbathe during the summer season. Taking it with added care, sunbathing is healthy given that introduces Vitamin D into the body, so the ideal choice seems to be switching in between indoor and outdoor pools based on the season. There are numerous alternative remedies to chlorination, with great advantages that guarantee better water high quality in the pool. One possibility is the mineralizer, which purifies water naturally and significantly decreases the chemical substances used and maintenance time. Try Chlorine Cost-free pools in Greater London. If you're tired of getting eyes and irritated skin, obtaining a saltwater pool in Greater London may be the answer. You might want to understand that the level of salt from these pools is well below the level of salt from sea water, particularly they are talking about a tenth or less. Enjoy the best indoor pools in Greater London and don't worry about the weather. These facilities are open all seasons and you can enjoy a swim at the same temperature every day of the year. There are a number of reasons why you ought to choose a heated swimming pool in Greater London. One of the most essential 1 relies on the significance of keeping the body temperature stable. If the water is as well cold, your body will try to warm it up and you will shed strength to swim correctly. Updated on 2019 Althorne Way , Beacontree Heath , Dagenham , England , UNITED KINGDOM (Postal Code: RM10 7FH). Among all the activities offered by the centre, if you are interested in swimming you will delight in 25 meters x 25 meters, 10 lanes, Indoors. If you need to contact this Swimming Pool, email address and phone number are both number. Updated on 2019 Malden Road , North Cheam , London - South , England , UNITED KINGDOM (Postal Code: SM 3 8EP). Among all the activities supplied by the centre, if you're enthusiastic about swimming you'll appreciate 30 meters x 12 meters, Indoors. If you need to contact this Pool, email address and phone number are both number. Updated on 2019 Westcroft Rd. , Carshalton , London - South , England , UNITED KINGDOM (Postal Code: SM 5 2TF). This sports centre delivers 33.3 meters x 12.5 meters, Indoors. Contact info for this Swimming Pool like phone number and e-mail address are number. Updated on 2019 Donnington Rd. , Willesden , London - North , England , UNITED KINGDOM (Postal Code: NW10 3QX). Among all of the activities offered by the centre, if you're interested in swimming you will take pleasure in 25 meters, 6 lanes, Indoors. If you have to contact this Pool, e-mail address and phone number are both number. Updated on 2019 Ironmonger Row , Clerkenwell , Islington , London - Central , England , UNITED KINGDOM (Postal Code: EC1V 3QN). Among all of the activities offered by the centre, if you are interested in swimming you might appreciate 30.5 meters x 12.5 meters, Indoors. If you need to contact this Swimming Pool, e-mail address and phone number are both number. Updated on 2019 21A Piccadilly , Piccadilly , London - Central , England , UNITED KINGDOM (Postal Code: W 1J 0BH). Among all the activities provided by the centre, if you're thinking about swimming you'll enjoy 50 feet x 35 feet, 1 meters - 2 meters depth, 1 meters - 2 meters depth, Non-Chlorine Sanitized, Indoors. Just in case you want to make contact with this Pool before dropping by, we only know the phone number. Updated on 2019 Lychgate Rd. , Orpington , London - South , England , UNITED KINGDOM (Postal Code: BR 6 0TJ). Among all of the activities offered by the centre, in case you are thinking about swimming you may appreciate 33.3 meters x 15 meters, 6 lanes, 1 meters - 2 meters depth, 1 meters - 2 meters depth, Indoors. If you need to contact this Pool, e-mail address and phone number are both number. Without a shadow of a doubt, swimming in City of London may be the best way to unwind immediately after function. Take a couple of minutes to browse Swimia's catalog to find a Pool in City of London. Let us let you know a secret to switch off while you are in Bexley: just select a Pool in Bexley and plunge into the water! There's no more effective method.